Today is a day to celebrate everything Europe has done for us – from unity and peace to the single market. The date itself is somewhat contentious. May 9th is the date of the Schuman declaration of 1950, widely held to be the inauguration of the European Union. The Council of Europe on the other hand, celebrates it on the 5th, the date of its inauguration in 1949. I personally prefer May 9th, because it’s also Victory Day in Eastern Europe, the date when Nazi Germany finally capitulated in World War II. The date is May 8th in much of Western Europe, so the 9th shares two important dates. The EU hasn’t got the best reputation in the country I know best – the United Kingdom of Great Britain and Northern Ireland. Several prominent Europhobic MPs and MEPs on twitter are trying to get #NotoEU trending. Is today really Europe day? What have the Brussels elite, whose grand follies have ruined the lives of millions of Europeans, to celebrate? Stuff like the above makes me sad. People forget everything that a unified, harmonious Europe has managed to do for us. So, here’s a brief rebuttal. Worker Mobility – you can live, work, study, and retire anywhere in the EU! See a few of these lists for more. The Europhobes are right – Europe really does affect every area of our life. But I firmly believe that we are better for this, not worse. Leaving the EU would be a disaster – we’d either leave the world’s largest trade bloc, or simply have no sway in its development. We’d lose our rights to multi-nationals and pervasive government. Yes, the EU isn’t perfect – is anything? In Britain, today’s Queen’s Speech is trying to finish the job of Lord’s Reform started a century ago by Lloyd George. But Britain, and all European nation states and nationals, need to be actively involved in Europe in order to build a better Europe… not let everything that we have achieved together fall apart. On Monday 24th of October, we will see a vote in the House of Commons on whether the UK should hold a referendum on British membership of the European Union. 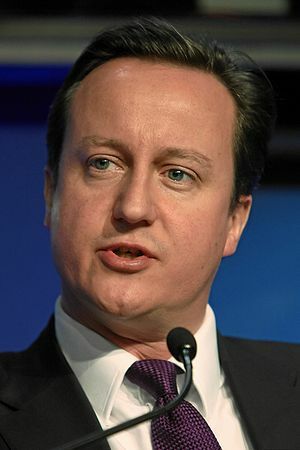 While the vote is non-binding on the government, it has been a contentious topic over the last few days, with Prime Minister David Cameron threatening his party with a three-line whip (a method of controlling the vote which would mean any government ministers which want to deviate from the party’s position would have to resign their posts). Today, Philip Hammond, the Defence Secretary has said that despite unhappiness amongst some Tory backbenchers and the threat of resignations, the “whip remains because the motion is contrary to government policy”. Tories to be whipped against EU Referendum? The Telegraph is reporting that Prime Minister David Cameron may very well whip  his party against voting for the prospective vote in the House of Commons on whether or not to hold a Referendum on membership of the European Union. This means that MPs would be forced to vote against the prospect of a referendum. Already we are seeing the prospect of rebellion. British Members of Parliament have agreed to debate and vote on the issue of holding a referendum – a referendum to decide whether or not the United Kingdom of Great Britain and Northern Ireland will remain a member of the European Union, or leave. 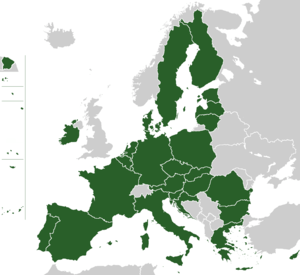 We all know that the Conservatives in the UK are Eurosceptic. But what does this mean for Europe? Will they reverse the process of “ever-closer union”? In my second piece for The New Federalist, I explore the relationship between Prime Minister and head of the Conservative party, David Cameron, and his Eurosceptic backbenchers. If you like it, or if you disagree, feel free to comment! All polite comments get a response. If you do like it, please tweet it, share it on facebook, and spread this, or anything else on my blog.